After many feature requests, we finally were able to bring you this awesome integration! 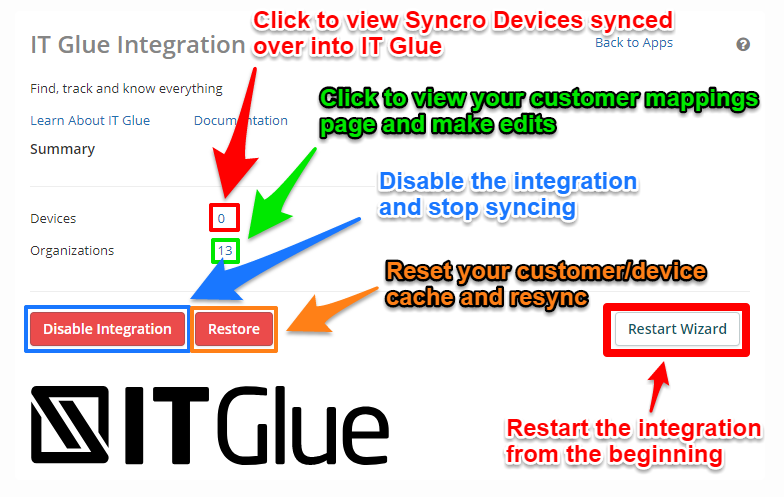 Welcome to the Syncro + IT Glue integration! If you delete an Asset from Syncro, the instance in IT Glue will remain and be marked as "inactive"
To start, head over to your IT Glue account and login. 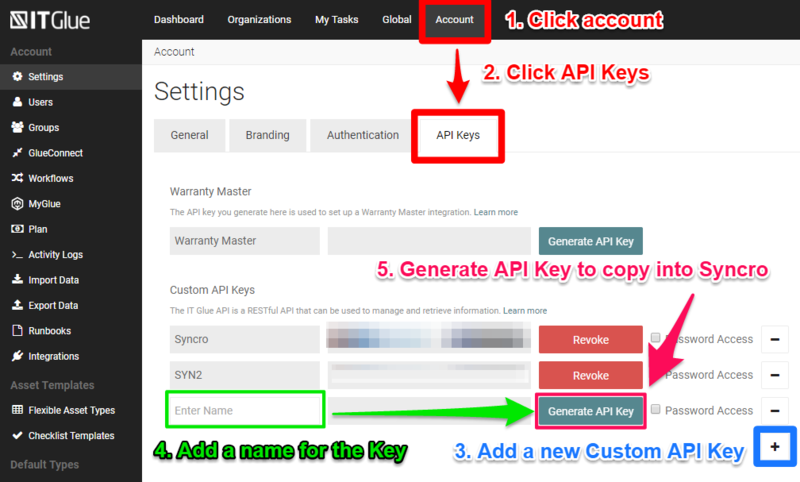 Then click "Account" > "API Keys" > "+" (Under Custom API Keys) to then "Generate API Key" for your Syncro integration. Give the API key a name of your choosing, and copy the API Key you generate here to use later inside the Syncro integration setup. 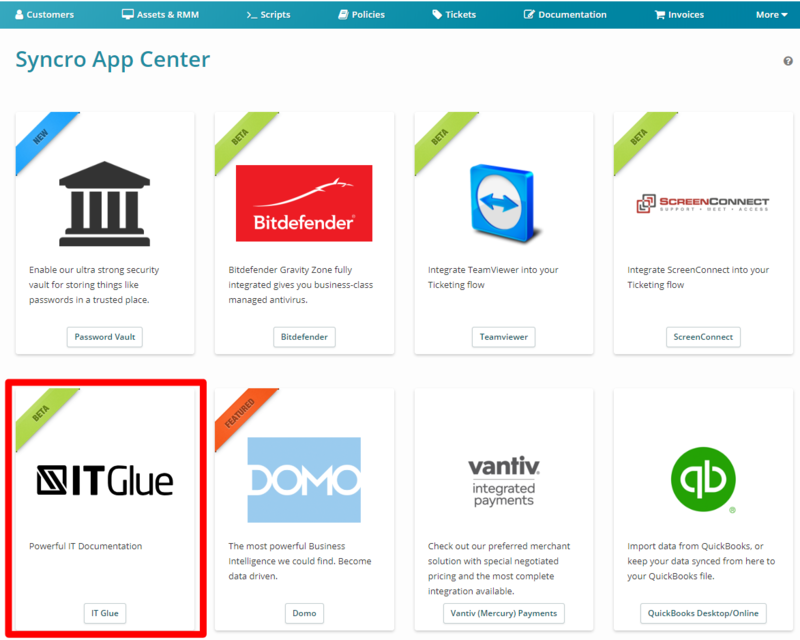 In Syncro, first head to the App Center, and click on the IT Glue app card to configure the integration. Next, click the "Configure Integration" button to get the integration started! After the initial sync, you will be able to map your Syncro Asset form types to IT Glue Configuration types. Once you have mapped all three, you will next map all your IT Glue Organizations to Syncro Customers. We will try to map these for you by default by name, then email, the phone number, but you can always map them manually here. Please make sure to map Organizations to Customers 1:1 to prevent poor sync data. Finally, enable the integration, and you are all set! 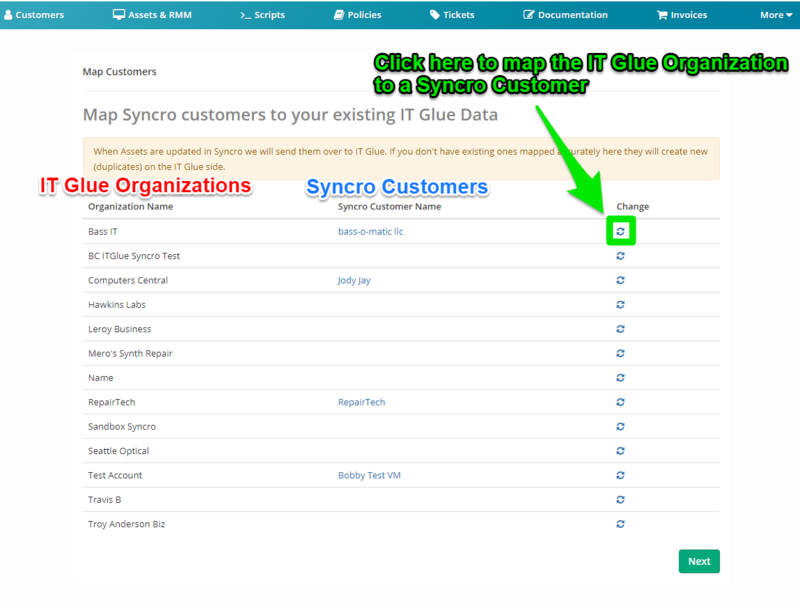 With the IT Glue integration enabled, head over to one of your Syncro Assets and view its "Overview" page. 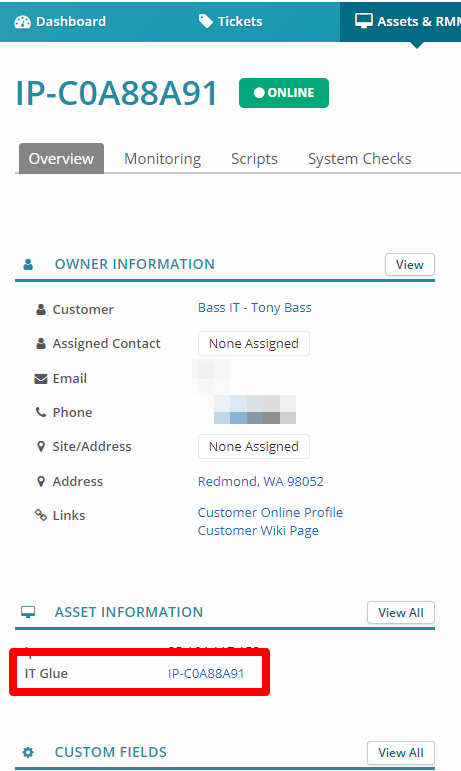 You will now see a new IT Glue field under "Asset Information" that will take you directly to the Configuration in IT Glue.